Julie Hyzy is a New York Times bestselling and Anthony Award-winning author best known for writing cozy mysteries. These include the White House Chef mystery series, the Manor of Murder mystery series, and the Alex St. James mystery series. Her new novel, Virtual Sabotage (available October 23, 2018), is standalone techno-thriller that marks a bold new creative direction. A Chicago native and graduate of Loyola University, Hyzy lives in the Chicagoland area with her husband. 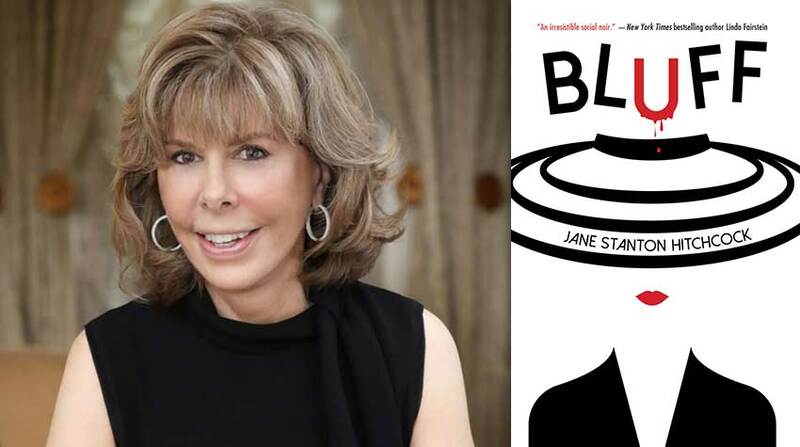 Recently, the author generously shared her thoughts on the complexities of transitioning genres, incorporating technological advancements into narrative, crafting a dynamic protagonist, breaking into the publishing industry (and rebranding), and applying her business background to everyday life. She also offers a teaser as to what readers can expect next. 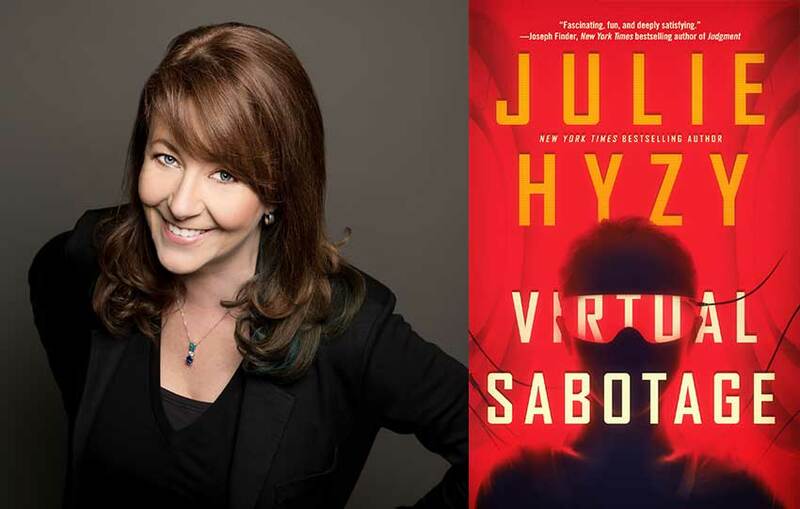 Virtual Sabotage marks a departure from cozies to thriller. What have you found to be the greatest challenge in making this transition—and, conversely, the greatest liberty? The greatest challenge, without a doubt, is convincing readers to take a chance on a story that may be altogether different from what they’re used to reading. While most cozy mystery fans are voracious book lovers who read across many genres, there is a small (though vocal) contingent that won’t touch anything that features even a hint of science fiction. I’ve been doing my best to remind these readers that books such as Outlander, Flowers for Algernon, and those in J.D. Robb’s In Death series all contain a measure of SF. As do classics films, such as E.T., Cocoon, and even Batman. Believe it or not, I never set out to write cozy mysteries. When Marty Greenberg approached me about the White House Chef mystery opportunity, I expected to craft tales that were more Jack Ryan than Jessica Fletcher. 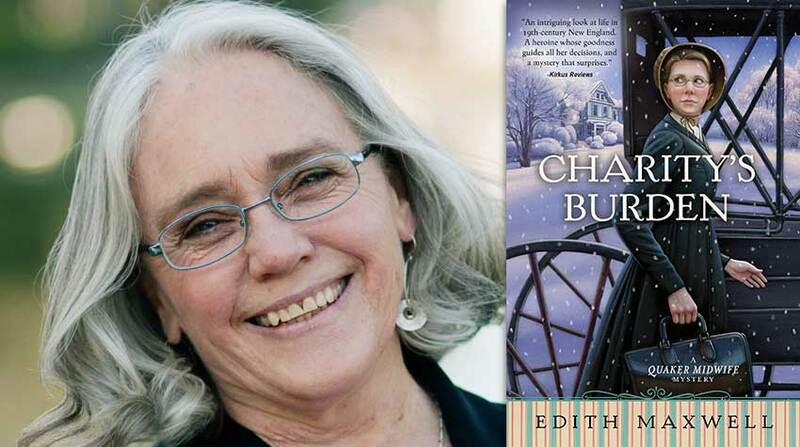 Don’t get me wrong—cozy mysteries are wonderful. I simply expected that a White House-based book would involve loads of action and violence. What was I thinking, right? She was an amateur-sleuth chef! It wasn’t until the editors suggested the title, State of the Onion, that everything clicked for me. But, THANK YOU for asking about the greatest liberty! I am in an incredibly happy writing place right now. As wonderful as it is to have two- and three-book contracts and as satisfying as it is to deliver manuscripts on time, being free to write novels on spec—stories that have no guaranteed home, yet—is unquestionably more exhilarating. Everything is on the line. It’s scary, but fresh. Like walking through crunchy leaves on a crisp fall afternoon. Death at my feet, sunshine above. Exciting and energizing. 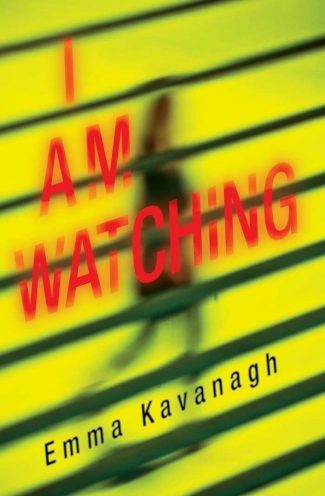 This book is set against a futuristic backdrop in which virtual reality is both prevalent and perilous. How did you research this technology to achieve a sense of realism despite artistic license—and in what ways do you see this story as being a cautionary tale about the erosion of civil liberties? A few years ago, before virtual reality technology began to go mainstream, I was lucky enough to try out a VR headset. It was set up with a roller coaster program that was so vivid, some family members needed to sit on the floor to remind themselves that it wasn’t real. Standing, with my arms stretched above my head, I marveled over every twist and turn. The experience made me think of the holodecks on Star Trek as well as Ray Bradbury’s creepy short story, “The Veldt.” Afterwards, I began to wonder about how such technology could be misused or exploited. I’ve read a great deal on the strides being made by the medical community—how patients are using VR to regain mobility, for instance—and I believe this is just the beginning of a journey into fooling our own brains. But is this an exciting possibility? Or a terrifying one? I’d say yes. Both. Consider how much we give away for free these days: Shoppers freely share information about their purchasing habits in return for discounts. Online algorithms analyze our web-surfing habits. Cell phones track our movements. Vehicles log in along tollways. Smart homes run on voice commands. How willing, do you think, is society to forego discounts, shut down their internet connection, or give up our phones? What about the ability to sail through toll booths without stopping or the ease of ordering up songs, food, entertainment? We rationalize our choice to allow technology to infiltrate every moment of our lives. Of course we do. Life is easier, faster, more fun this way. In Virtual Sabotage, I wanted to explore the dangers of abdicating control. Where people, in cheerful pursuit of amusement, blithely relinquish their own power over themselves. We know this about ourselves. And yet we do nothing to stop it. What happens when corrupt parties seek to exploit our carelessness? Your protagonist, Kenna Ward, is a fierce “lifeguard for the brain.” In what ways does she represent both strength and vulnerability—and how do her circumstances, though unique, illustrate the power that we all possess to be a catalyst for change? A tragedy early in Virtual Sabotage sets Kenna on a quest for justice. And while that’s a fairly standard setup in crime fiction, it’s the heartbreaking loss in Kenna’s childhood (briefly touched on in the book) that explains why she’s adamant about finding closure this time. Kenna’s upbringing made her tough enough to fight for the truth but it’s her profound love for those she considers family that’s the real heart of the story. One of my favorite things to do is to put an ordinary person in extraordinary circumstances and watch them scramble. (In writing, that is. Not in real life.) Kenna is very good at her job. She strides in, confident that she’ll find the answers she seeks. What she doesn’t anticipate, however, is becoming involved in an even more urgent quest for justice. She is, in fact, taken aback by what she uncovers. But that only strengthens her resolve. You have not only survived but thrived in a notoriously volatile industry. What advice would you give to those who are looking to: a) reinvent themselves (as you have), or b) break into publishing for the first time? What a lovely thing to say. Thank you! The truth is, I’ve been very fortunate. The crime fiction community is unbelievably welcoming and I’ve benefited from its generosity—from readers and writers alike. a) How to reinvent oneself? Maybe you should ask me again in a year from now! I’m still in the process of rebranding, and I’m not sure how to measure my effectiveness. Although I’ve always preferred writing dark, my readers aren’t accustomed to that. Will they join me on this journey? I don’t know. I’m hopeful, but still nervous. b) How to break into publishing? Read every day. Write every day. Even if it’s only 500 words. Every single day. Submit your work—then forget it. Start your next project immediately. Build a resume. Build a network. Help other writers when you can. Be professional. Be kind. You have a background in business. How does this influence your perception of your craft – and what lessons have you found to be most transferable from your previous career to this one? Family and friends, believing I would starve as a writer, convinced me that I needed to have a career to fall back on. Because, you know, business majors got jobs. Okay, fine. I resigned myself to writing in my spare time. I chose Marketing as my major because it was the most creative of my options. Turns out, the classes I enjoyed most were Statistics I and II, Algebra, Geometry, and Quantitative Analysis. There’s something very satisfying about computing standard deviations. Fun times! And no, I’m not kidding. I loved those classes. Yet, I despised Accounting. (Though I married an accountant.) Even worse was Econ. Ugh. The most boring subject ever. What’s a util? (Sounds like the beginning of a joke, doesn’t it?) Utils are a way of measuring utility. Oh boy! Can this answer get more boring?? Bear with me. Utils measure satisfaction and even (to a degree?) happiness. Utils are highly personal and wholly subjective. Early in my career, I said yes to every single opportunity offered to me even though I’m quite the introvert and would much prefer hanging at home with a good book over standing in front of strangers and talking about myself. Did some of these opportunities help my career? Probably. Were most of them a waste of time? Probably. Do I know which are which? Nope. Nowadays, when presented with an opportunity that fits my schedule and has the potential to support my career, I consider my utils: Will my participation deliver some measure of satisfaction? If so, I accept. If not, I decline. Without utils, I’d drive myself batty trying to determine what works and what doesn’t. Though they’re undeniably subjective, utils represent a measurement that works for me. Hmmm. I’m starting to think I ought to send my Econ professor a belated thank you note. I’m working on another standalone thriller. Something different, yet again. Though not YA, this novel features two very different teenagers, a neighborhood murder, and finding strength in unlikely places.